Many people who turn to meditation for stress relief find focused meditation easier to practice and maintain than traditional meditation practices. That is because this meditation exercise allows you to focus your attention on an object, sound or some other stimulus rather than trying to achieve a clear mind. For many people, this can feel easier than trying to focus on nothing or keeping a clear mind without a specific focal point. Focused meditation is something that everyone can do at home without an instructor or teacher. All you need is a few minutes of time, a quiet place, and something to focus on. Focused meditation involves focusing on something intently as a way of staying in the present moment and turning off your internal dialogue. Many people find this type of meditation easier to practice than classic meditation where you focus on nothing to quiet your mind. With focused meditation, you still remain in the present moment, but immerse yourself in one thing--whatever that thing may be. With focused meditation, you can choose to focus on almost anything that involves the senses. That may include sounds, visual pieces, tactile sensations, tastes and smells, and even your own breathing! Starting a focused meditation practice is very easy. If you are determined and stick with it, you will soon experience its calming benefits for yourself. Begin with short five-minute sessions and work your way up to 30-minute sessions as you become more comfortable with the exercise. You will need to find a quiet place where you will be uninterrupted and it is best to wear comfortable clothes so you are not distracted. Get into a comfortable position. Relax your body. Loosen your shoulders and breathe from your belly. You can cross your legs but you don't have to if you're more comfortable in another position, just as long as you can fully relax without falling asleep. Turn your attention to your chosen target and take in the sensation it provides. Focus on the sound, smell, sight, etc. and simply experience what it has to offer. The idea is not to think about it, but simply to experience it, being fully present in the moment. Calm your inner voice. If your internal voice starts to analyze your target or begins to rehash stressful situations of the day, worry about the future, make a list for grocery shopping, or anything else, gently turn your attention back to your chosen target and the sensation it provides. Let your mind stay quiet and clear. Don't worry about failure. If you find your mind engaging you and realize that you’re not being fully present with the sensations of your chosen target, don’t let your inner perfectionist beat you up for doing it wrong. Simply congratulate yourself for noticing and return back to the present moment and the sensations it has to offer. That’s it! It may sound a little strange or difficult to understand as you’re reading this, but as you practice this type of meditation, it will become easier and make more sense. The more you practice, the more benefits you will experience. Give it time. Meditation often takes practice. If you’re expecting to do it perfectly, you may actually create more stress for yourself than you relieve and you won’t want to stick with it. Start with shorter sessions. Five minutes is perfect for beginners. Work your way up to longer sessions of around 30 minutes. With practice, this type of meditation becomes easier and more effective. Try another meditation practice. If the experience is frustrating for you and you don’t really want to continue, you may find more success with other types of meditation like the karate breathing mMeditation. Choose the best time for you. Many people find that focused meditation (or any meditation practice) is a great way to begin their day. 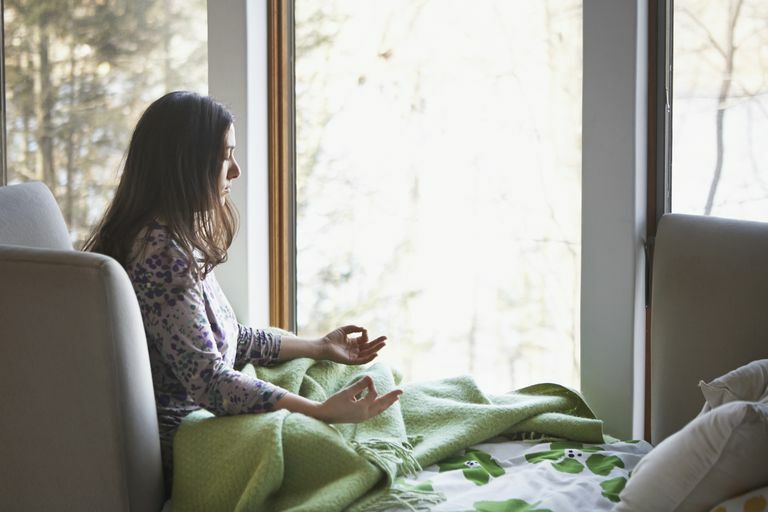 A morning meditation practice can do wonders for keeping you calm and reminding you to be mindful throughout the day, thus reducing the levels of stress you feel. Other meditators choose to practice after work as a way to wind down from their busy schedule and refocus on family and home. It is a great way to leave work stress at work!